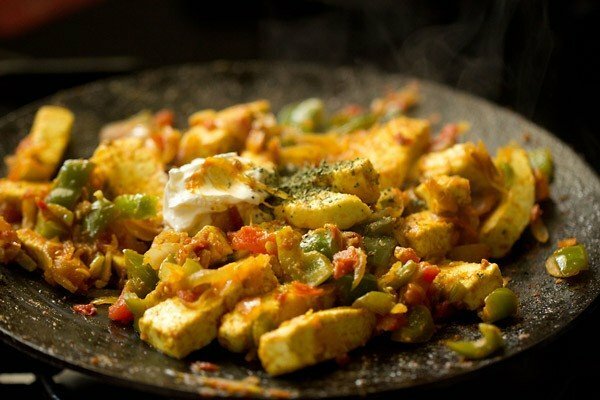 paneer khurchan recipe - easy, quick and delicious north indian semi dry curry made with paneer in a onion-tomato-capsicum base. 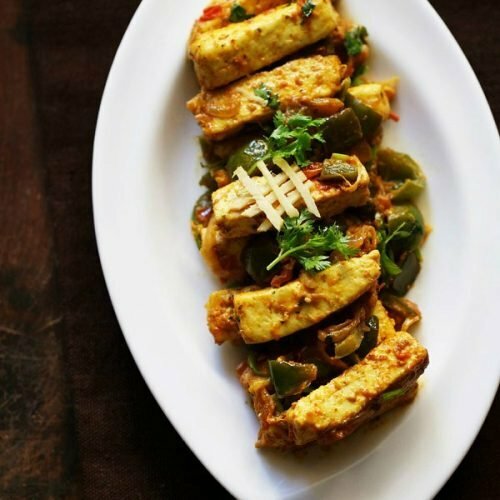 paneer khurchan recipe with step by step photos – easy, quick and delicious north indian semi dry curry made with paneer in a onion-tomato-capsicum base. 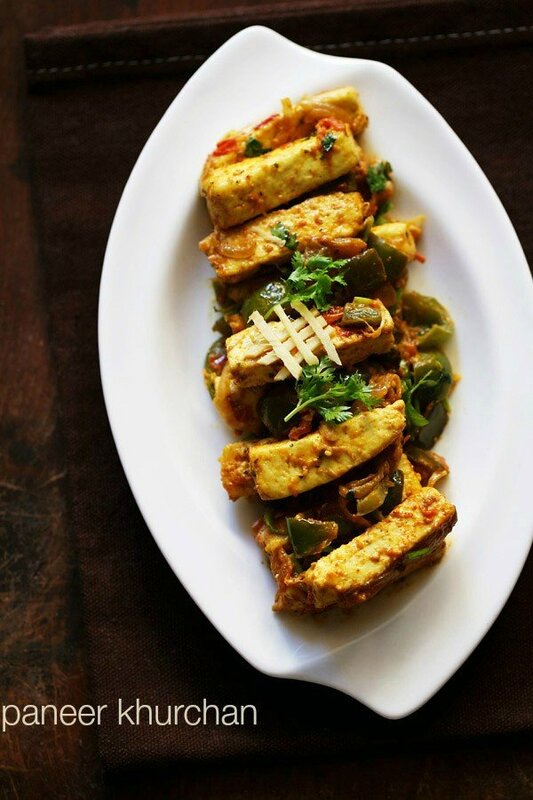 this is a north indian punjabi paneer recipe which at times you will find in dhabas and restaurants. 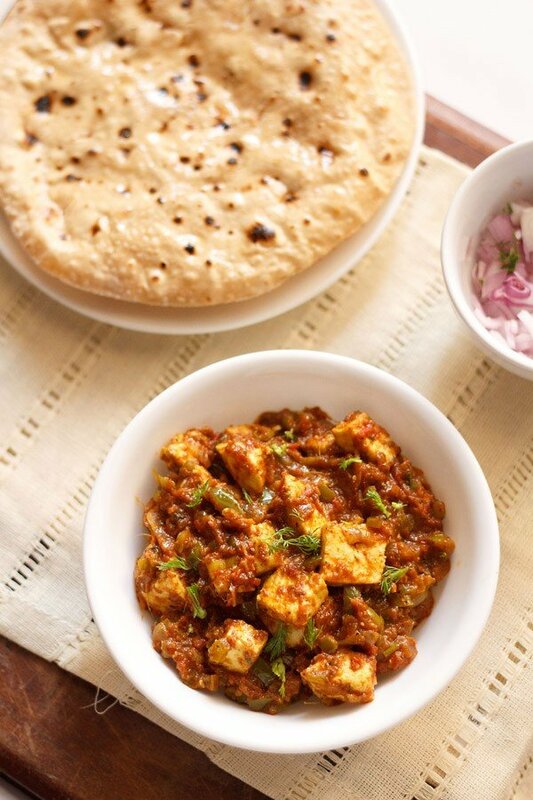 to make paneer khurchan is very easy and just takes about 30 minutes. 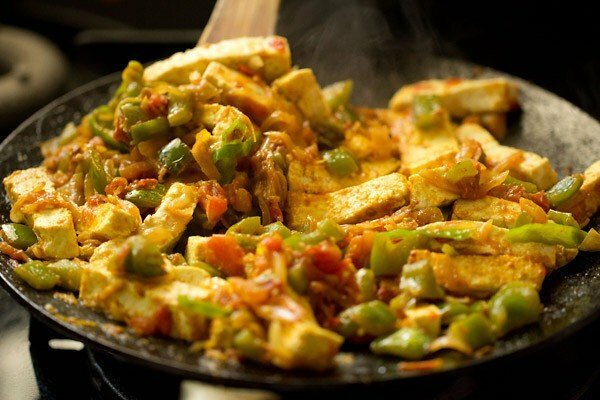 all you need is paneer and veggies like capsicum, tomatoes and onion, including the regular indian spices. the word ‘khurchan’ is derived from the hindi word “khurachna” which means ‘to scrape’. 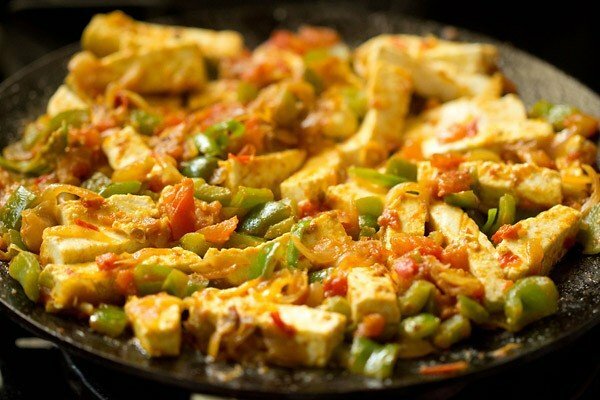 so the dish is basically scraped paneer in a semi dry sauce or gravy of onion, tomatoes and bell pepper. there are quite a number of variations of making paneer khurchan and this is my own version. mildly spiced, tangy from the tomatoes with a faint sweetness from the onions, bell pepper and cream. to make paneer khurchan, you need a heavy and thick bottomed iron tawa/griddle. you can also use steel or aluminium tawa. 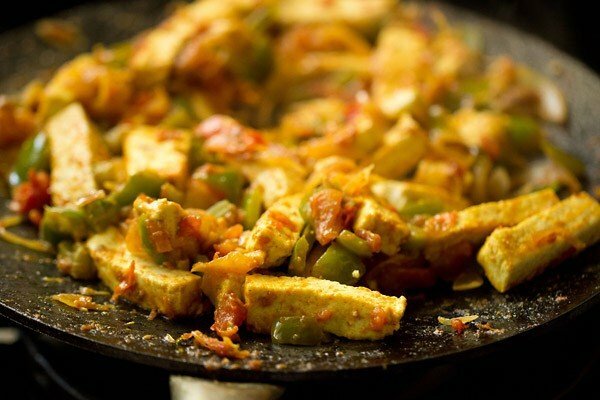 the tawa should not be thin from the bottom as then the paneer will get browned quickly and burn too. 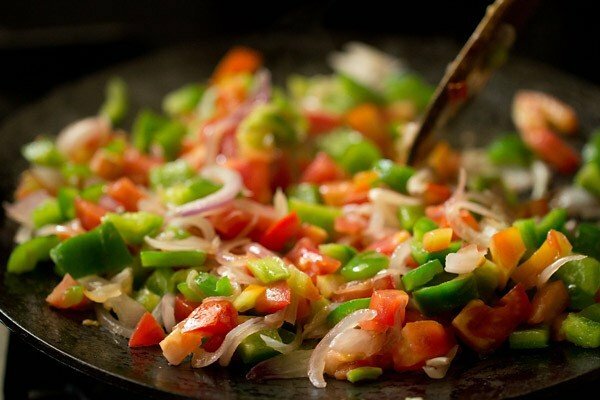 you can also use a thick bottomed iron or steel kadai. 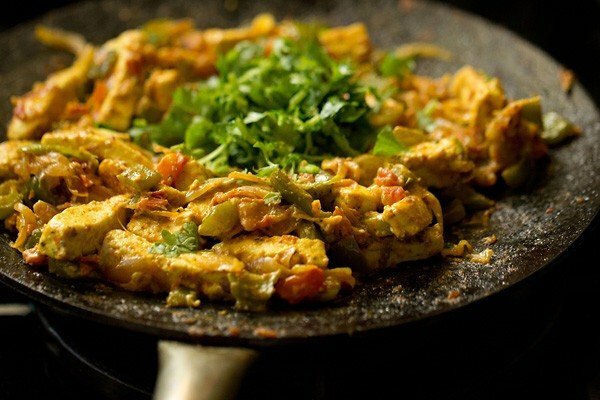 the recipe cannot be made in non stick pans. here i have used iron tawa. 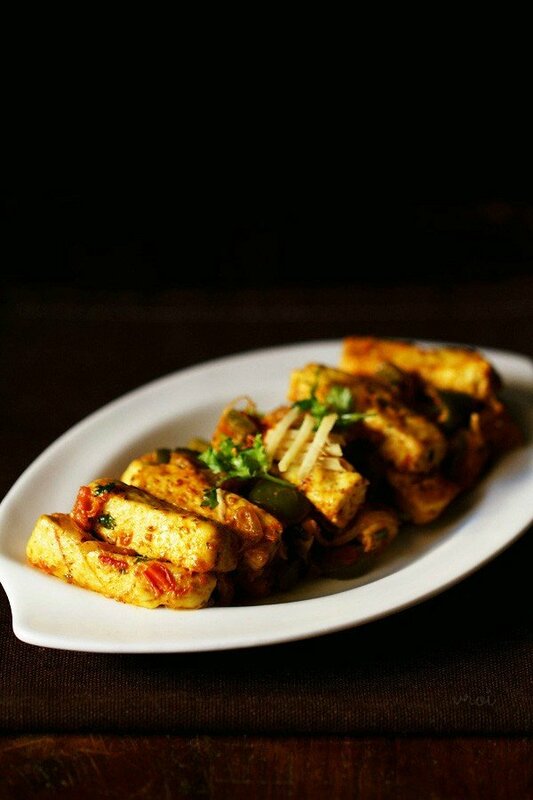 paneer khurchan goes best with chapatis, tandoori rotis or naan. also remember to drizzle in some lime juice before serving. slice 250 grams of paneer into batons or strips about an inch. chop all the veggies. slice the onions thinly. 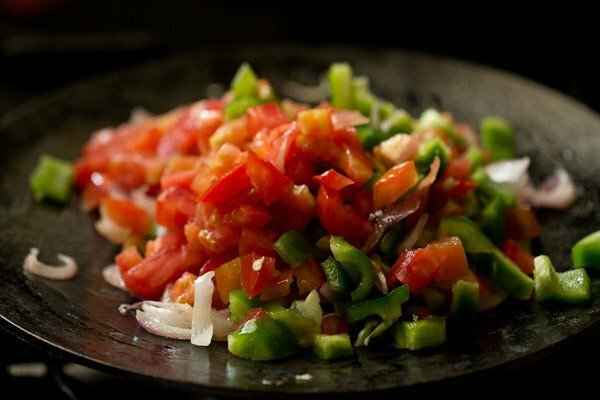 chop the tomatoes and cut the capsicum in small cubes. slit the green chilies & julienne the 1 inch ginger. reserve a few ginger julienne for garnish. heat 1.5 tbsp oil in medium to large iron tawa. 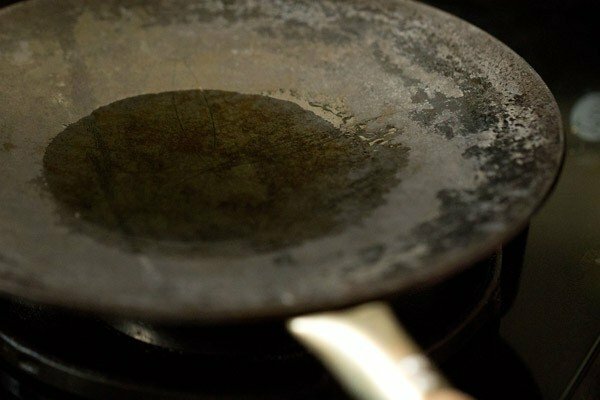 don't use non stick pan. you can also use thick bottomed iron or steel kadai. add the sliced onions and saute them till they turn translucent. then add the capsicum cubes and chopped tomatoes. keep on sauteing and stirring them for about about 7 to 8 minutes on a low flame. the tomatoes need to get softened and the capsicum just about cooked. then add the spice powders - 1/4 tsp turmeric powder, 1/4 to 1/2 tsp red chili powder, 1/2 tsp coriander powder, 1/2 tsp cumin powder, 1/4 tsp garam masala powder, a generous pinch of asafoetida and salt. 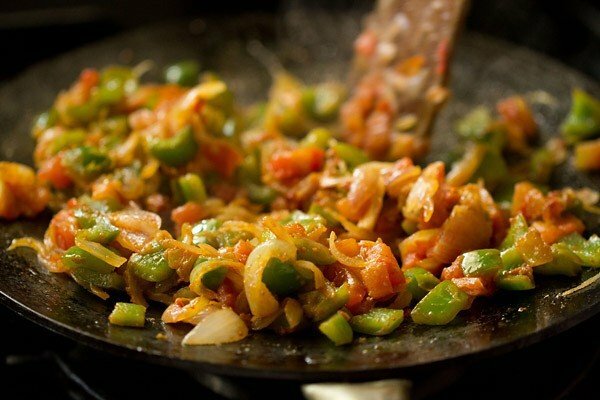 stir the spice powders very well with the sauteed onion tomato capsicum mixture. add the slit green chilies and ginger julienne. stir. then add the paneer strips. stir very well and increase the flame to high. paneer will leave moisture once you mix them with the rest of the masala base. with a spatula, align and place each paneer strip touching the tawa, so that they are cooked evenly as well as get bit golden from the base. turn over and let the other side get browned a bit. again scrape and stir. keep on scraping if you see the paneer or onion-tomato bits on the tawa. 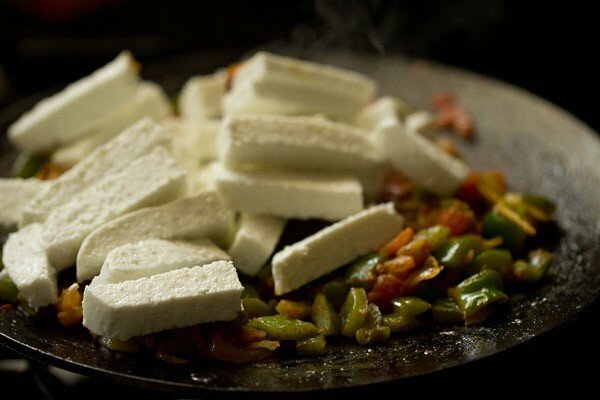 a note is not to cook too much as then the paneer would harden. the scraping as well as flipping has to be done quickly. lastly add 1 tbsp low fat cream and 1/2 tsp kasuri methi/dry fenugreek leaves, crushed. the cream is optional and if you don't have just skip it. switch off the flame and stir very well again. add 2 tbsp chopped coriander leaves and mix them with the paneer khurchan. 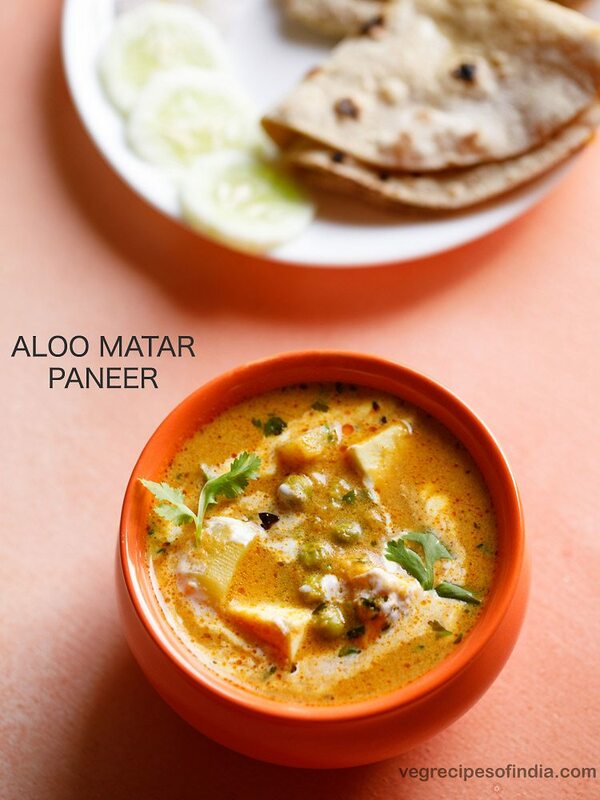 you can also garnish paneer khurchan with coriander leaves instead of mixing them. serve paneer khurchan hot sprinkled with some lime juice and the reserved ginger julienne, along with some chapatis, tandoori rotis or naan. 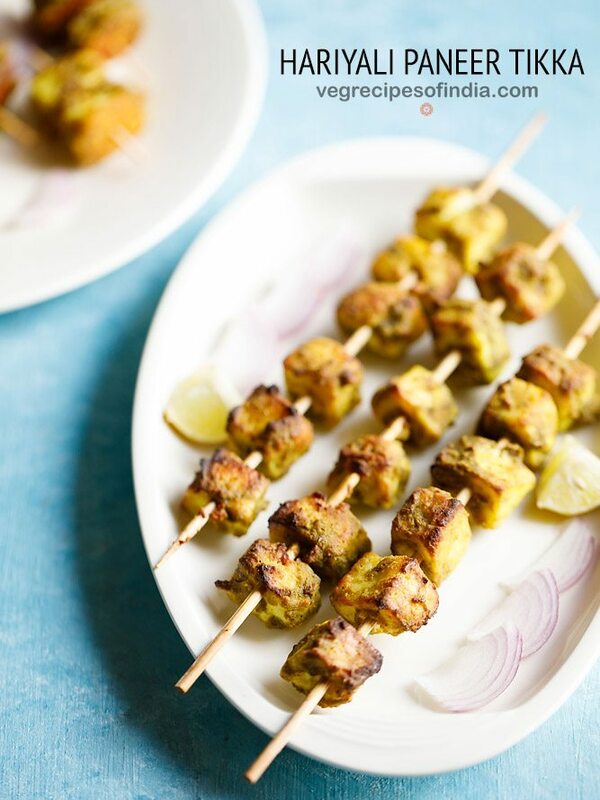 1. slice 250 grams of paneer/cottage cheese into an inch batons or strips. 2. chop all the veggies. 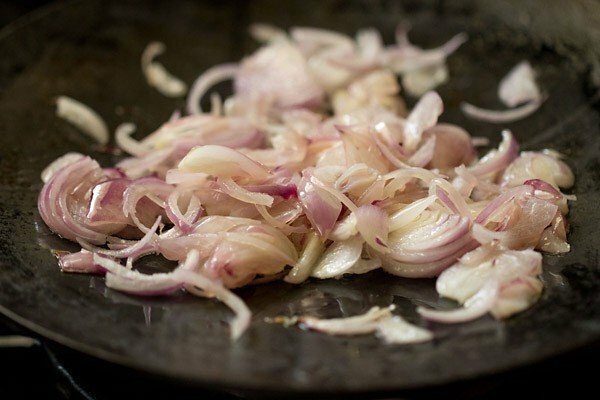 2 medium onions, thinly sliced. 1 large tomato, chopped. 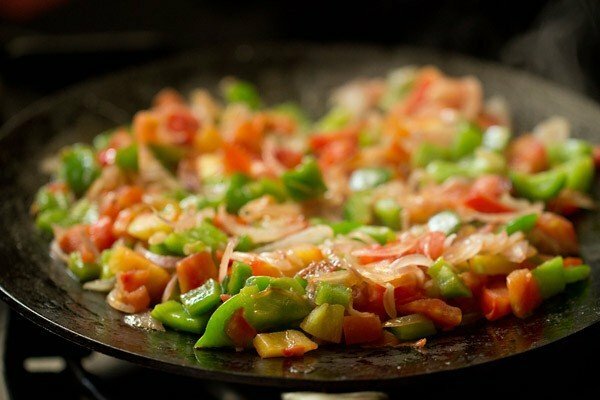 1 large capsicum/bell pepper, cut in small cubes. 1 or 2 green chilies & 1 inch ginger, julienne. reserve a few ginger julienne for garnish. 3. heat 1.5 tbsp oil in medium to large iron tawa. don’t use non stick pan. 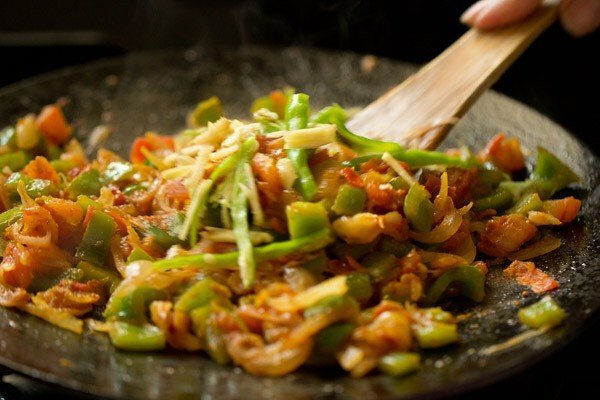 you can also use a thick bottomed iron or steel kadai. 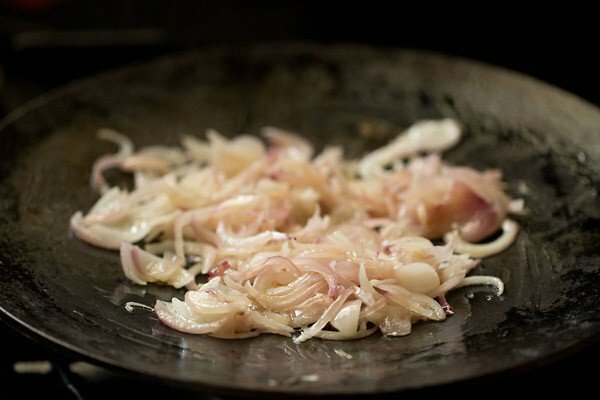 4. add the sliced onions and stir. 5. saute them till they turn translucent. 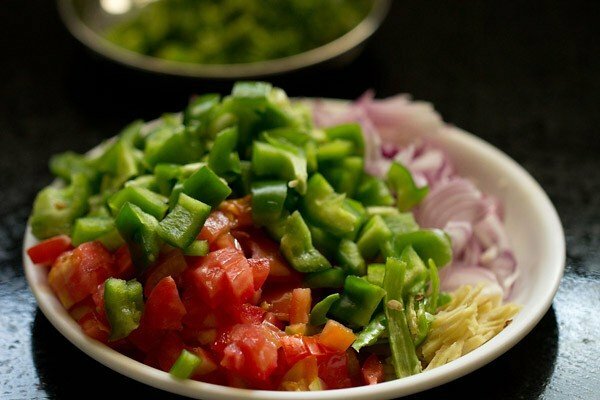 6. then add the capsicum cubes and chopped tomatoes. 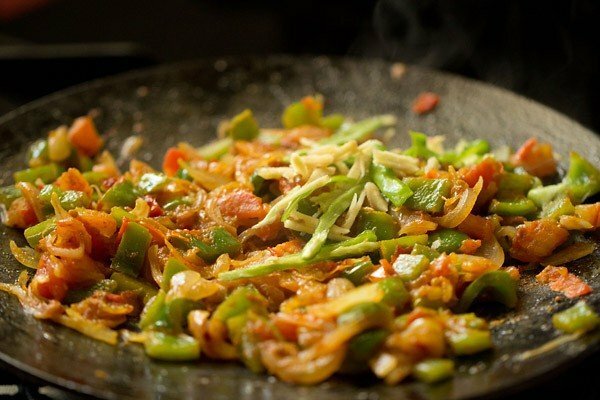 8. keep on sauteing and stirring them for about about 7 to 8 minutes on a low flame. 9. the tomatoes need to get softened and the capsicum just about cooked. 10. then add the spice powders – ¼ tsp turmeric powder, ¼ to ½ tsp red chili powder, ½ tsp coriander powder, ½ tsp cumin powder, ¼ tsp garam masala powder, a generous pinch of asafoetida and salt. for a spicy version, increase the amount of red chili powder and garam masala powder. 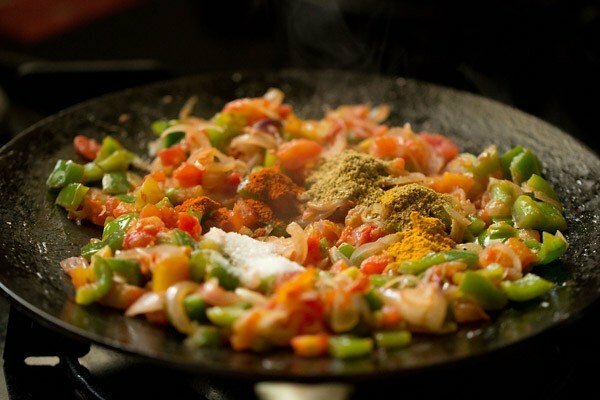 11. stir the spice powders very well with the sauteed onion tomato capsicum mixture. 12. add the slit green chilies and ginger juliennes. you can also add 1 or 2 more of the green chilies, if you prefer. 14. then add the paneer strips. 15. stir very well and increase the flame to high. paneer will leave moisture once you mix them with the rest of the masala base. 16. with a spatula, align and place each paneer strip touching the tawa, so that they are cooked evenly as well as get bit golden from the base. 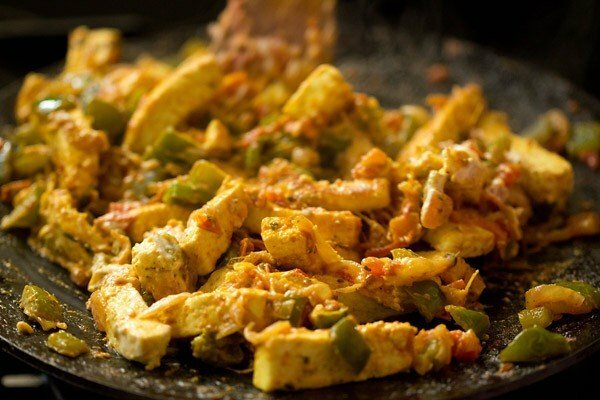 17. cook for a minute and then scrape the paneer strips from the base. reduce the flame if everything starts to get brown quickly. turn over and let the other side get browned a bit. 18. again scrape and stir. keep on scraping if you see the paneer or onion-tomato bits on the tawa. 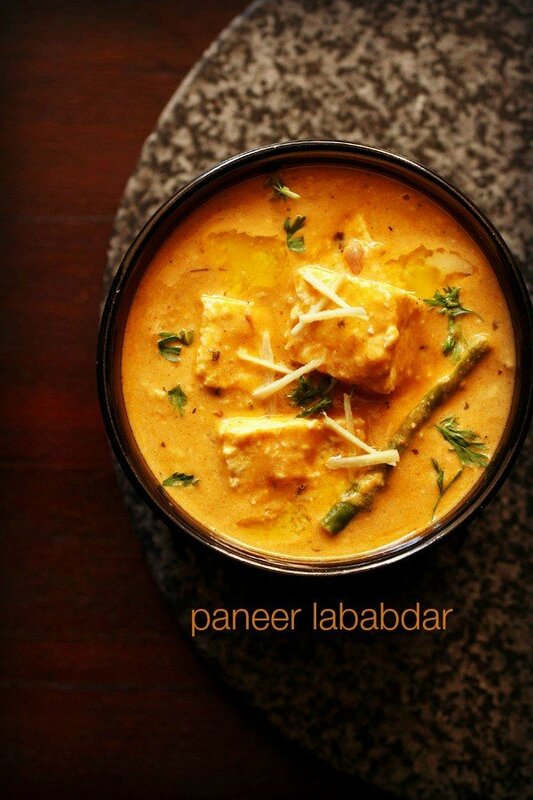 a note is not to cook too much as then the paneer would harden. the scraping as well as flipping has to be done quickly. 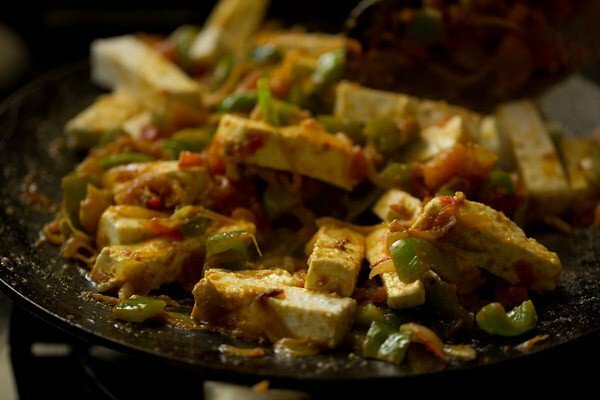 scrape all the bits and pieces of paneer as well as the onion, tomato and capsicum. 19. lastly add 1 tbsp low fat cream and ½ tsp kasuri methi (dry fenugreek leaves), crushed. the cream is optional and if you don’t have just skip it. 20. switch off the flame and stir very well again. 21. add 2 tbsp chopped coriander leaves and stir. 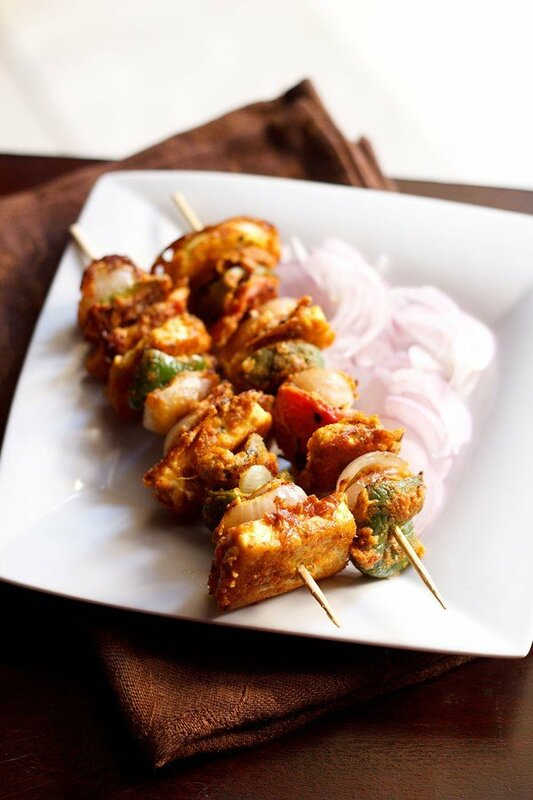 you can also garnish paneer khurchan with coriander leaves instead of mixing them. 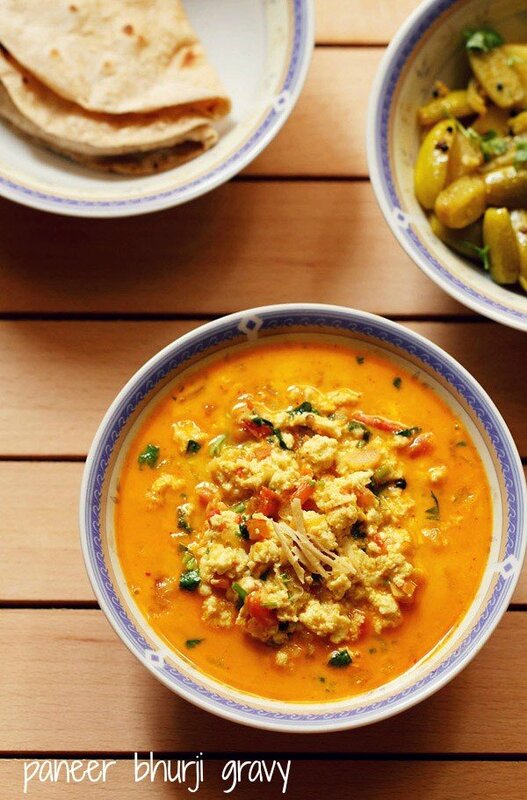 24. serve paneer khurchan with rotis, paratha or naan. Please do share a small pictorial step of how to create ginger Julienne. Welcome Meghà. I will post the recipe method. Easy to make, yummy to eat. You have lessened the burden of GST on me, by enabling me to make better than hotel food. And i know its clean and unadulterated. Kudos!! Thanks Rahul for your positive feedback. GST will give more returns to everyone after 2 years. But even after 2 years, home cooked food will be better !!! So keep visiting the site for more recipes. superb recepie and easy for unskilled person like me. thanku for making its app also ?? welcome purvi. glad to know this. 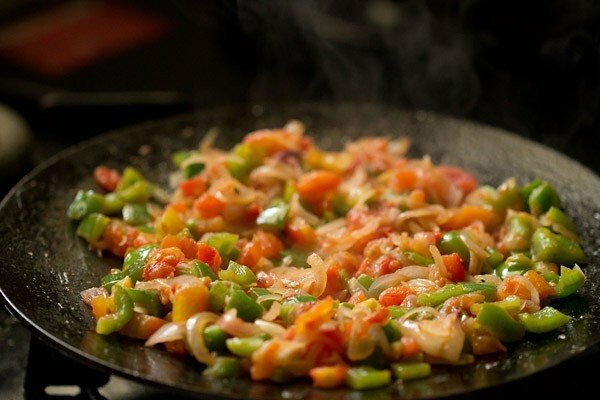 This is an awesome recipe ma’am…it is really easy to make and extremely delicious…thanks a lot..
welcome radha. thanks for sharing positive feedback. thanks jazz for sharing positive feedback and for your prayers. All ur recepies are excellent.your,steps photos n variations are excellent.u have a large heart to share n wishing u all the best in ur cooking career dasanna. thanks sujatha for your positive feedback and kind words. Thanks DK ji for your blessings and kind words. welcome amitha. glad to know this. thanks for sharing this sweet feedback. Thank you Dassana . for this uncommon recipe. loved it and surely try out once. Please keep sharing this type of amazing recipe with us. thanks a lot again. welcome kakoli. do try once. 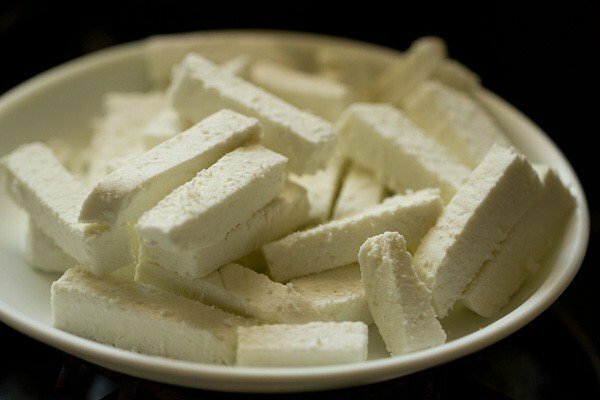 its a quick to make good paneer recipe. thanks lika for sharing your positive feedback. glad to know. amazing recipe! and a easy and quick one too…! !